Have you recently looked into your crystal ball to determine what the rest of your life holds? Unless you’re a clairvoyant, planning for the future involves a lot of known and unknown risks. That’s why buying appropriate insurance products is so important. 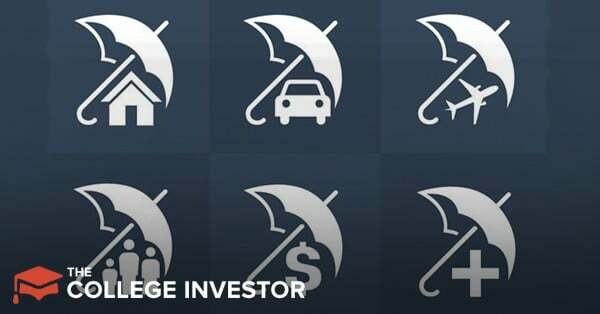 One of the most difficult insurance products to buy is life insurance. If you’re hoping to marry or have kids one day, but you’re currently single, should you buy insurance today while you’re young and healthy? If you have one kid, but you hope for more, should you buy more insurance? Unfortunately, figuring out how much insurance to buy is never an easy task. However, Ladder, an online life insurance company, is making it a little bit easier to buy life insurance that scales with your life. See why we put Ladder Life Insurance on our list of the best online term life insurance companies. How Does Laddering Life Insurance Work? Is Level Term Life Insurance the Right Kind of Life Insurance for Me? 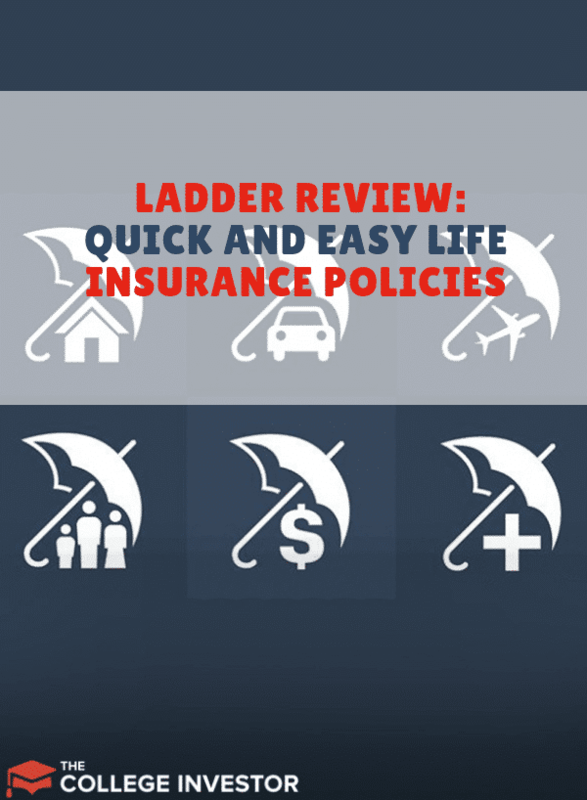 Ladder is an online life insurance company that issues term life insurance policies online. Some people may qualify to buy an insurance policy directly from the Ladder portal. Others will have to complete a medical exam before Ladder will underwrite the policy on a long-term basis. The cool thing about Ladder is that applicants can gain coverage right away, even if the company needs a medical exam to complete long-term underwriting. Unlike most life insurance companies, Ladder insurance allows you to decrease coverage over time (if you want). In some cases, you can also quickly and easily apply for more coverage. To buy an insurance policy from Ladder, you must be between 20 and 60 years old. You must have lived in the United States for the last two years. Insurance policies from Ladder will not extend past age 70. The maximum benefit you can take out depends on a variety of factors, but Ladder will underwrite policies up to $8 million. The most unique part of Ladder insurance is that policyholders can decrease their coverage (and their corresponding monthly payment) over time. Ladder calls this “laddering down” your life insurance. Essentially, as you save more money, pay off debts, or launch your kids out of the house, you don’t need as much life insurance. With Ladder you can easily adjust your policy of $1.5 million to a policy of $1 million (and reduce your monthly costs) simply by requesting a decrease. You cannot “ladder up” quite so easily. With Ladder, you do have to apply (and possibly undergo medical underwriting) each time you want new life insurance. That said, the application process is quick and easy. Ladder only sells a product called level term life insurance. This means that you’ll pay the same amount (every month) to keep your life insurance policy in force. After a set period of time (anywhere from 10 to 30 years), the policy expires. Level term life insurance tends to be a sensible insurance product for most people. It’s relatively inexpensive, and it can protect your loved ones. That said, there are other types of life insurance products that may make sense for you. A life insurance policy with a convertible feature (meaning you can convert it to whole life insurance) could make sense for some people. I am also a fan of annual renewable term life insurance which gives you the privilege of keeping your policy in force at a growing rate until around age 80 or 85. This is a helpful type of insurance for people that buy insurance at a young age (say 23), but end up needing a policy until their 60s. If you want to buy a level term life insurance policy, buying through Ladder makes a lot of sense. The ability to reduce your monthly premiums (and your overall death benefit) over time is great for people who are working towards early financial independence. Plus, you can put the policy in place right away, and then complete medical underwriting a few weeks later. This is great for your peace of mind.